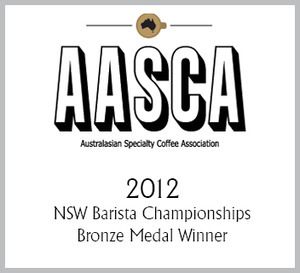 In October 2011, construction began on The Blessed Bean Cafe, which was opened in December 2011 on Best Street, Wagga Wagga, NSW. 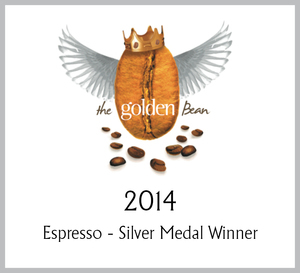 The Best Street location has evolved and grown to encapsulate The Blessed Bean's ethos of excellence. The menu exhibits local food offerings and trends with the top establishments in larger metropolitan areas. We run at least four different blends and single origin coffees to showcase the diversity and strengths of coffee origins, processing methods, and natural attributes. Pour 400-500 coffees per day, using 100kg of coffee beans per week! 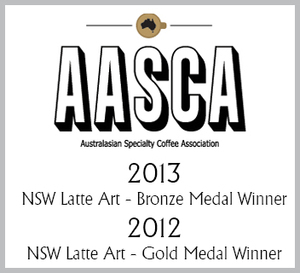 In March 2012, The Blessed Bean opened the doors of its second espresso bar at the Wagga Airport. The Airport site has been designed to welcome those embarking on travel or disembarking into this city with a tempting taste of the region. In addition to the food and beverage offerings, The Blessed Bean recently added a display cabinet, supported by Wagga Tourism and local providers, to offer a unique range of regional merchandise and produce. 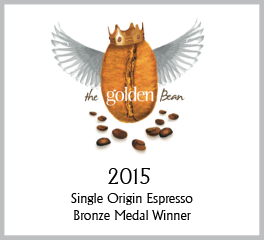 In August 2014 The Blessed Bean opened their pop up container cafe on the grounds of the Wagga Base Hospital. Providing a facility that meets the needs and demands of a diverse range of professionals and individuals on site. In July 2016, we were stoked to officially launch the first Blessed Bean Cafe outside the Riverina. And there's no place like Byron Bay. Opened in August 2016, a brand new Blessed Bean cafe in the Calvary Hospital, Wagga. Another exciting Blessed Bean project, the H Van has arrived! Check out this mean caffeine machine, coming soon to a local event near you! The Blessed Bean Coffee Roasters and Café is based on a strong belief of offering the very best service, product and environment that is in line with the manifesto “Connect, Inspire and Make a Difference”. A progressive and quality driven business, The Blessed Bean focuses on the freshest local produce and finest coffee which is sourced locally and from around the globe as the seasons and quality dictate. Managing directors Jason and Simone Dowding are passionate and driven to provide a consistently outstanding level of product, service and atmosphere in all outlets exhibiting the Blessed Bean logo. Since August 2011, The Blessed Bean has moved swiftly in accordance with market trends, design, and culture to meet and deliver a total product that has earned a reputation for being top of its industry. Business aims to teach and enhance individuals lives and professional effectiveness by teaching awareness and consciousness and helping people develop a healthy relationship with their working environment through a mindfulness revolution. Meditation enables people to become mindful of how they act towards others, of how they treat themselves and of what they consume. Meditation classes will be offered free to school children in the area to promote Dharma Businesses vision and ethos.